As the national association for the health and safety profession, the SIA helps raise standards and the profile of health and safety in industry and supports members (and non-members) be the best they can be. As the peak industry body for health and safety, the SIA provides services and products to members and non-members. Use the links below to access more information. 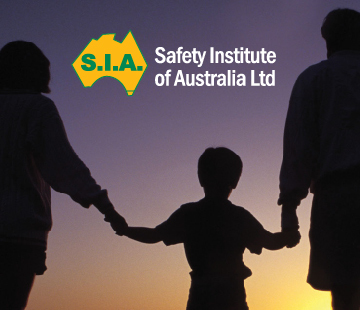 The SIA is Australia's peak body for health and safety professionals and practitioners. Use the link below for information about the SIA's work and services. The SIA has individual and corporate membership and a professional e-News and magazine for members and non-members. Use the link below for more information on membership. The SIA conducts certification of Generalist OHS Professionals and Practitioners, with the aim of driving the highest standard of health and safety practice in Australian workplaces. Use the link below for more information on OHS certification. The SIA has branches in each of Australia's states and territories. Branches co-ordinate events which provide opportunities to keep upto date with health and safety and network with others in the industry. Use the link below for more information on the branch in your state or territory. The SIA's Brisbane Region is a thriving and vibrant sub-branch of the Qld Branch. As the Brisbane Region Representative Jo Kitney organises regular meetings and events for SIA members and non-members. Use the link below to see the Brisbane Meetings or contact Jo Kitney for more information (jkitney@kitney.com). The SIA holds regular meetings, conferences, networking events and webinars throughout Australia's states and territories. safety issues. Use the link below for more information on the SIA's Annual Events Calendar and speakers. The SIA Mentorship Program is available for SIA members. Use the link below for more information on mentoring.